Subaru’s adventure-ready compact SUV is all-new from the ground up. The Forester, known for its utility and capability, has always spoken the more practical side of the brain. Sure, it’s moderately quirky design appealed to many folks (I like it) but even if the styling didn’t do it for you, there was no denying what this vehicle was capable of. 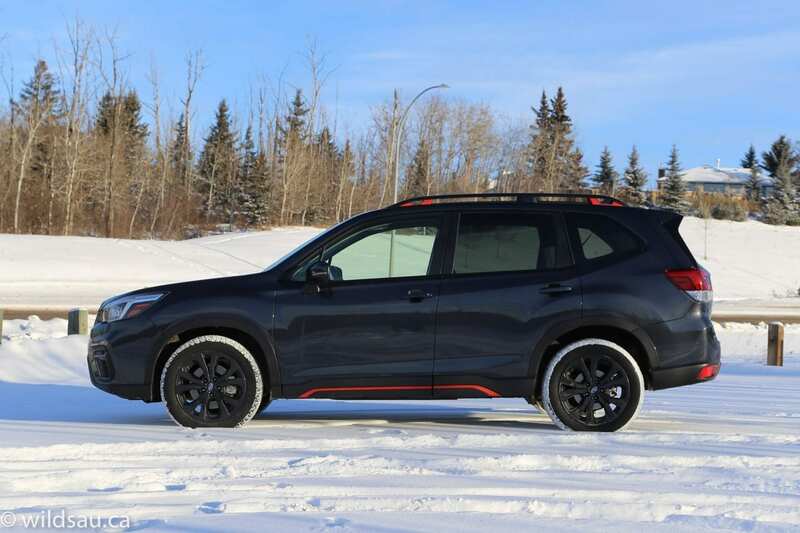 The 2019 Forester is all-new, and although it still looks like a Forester, it has been improved and refined in many significant areas. 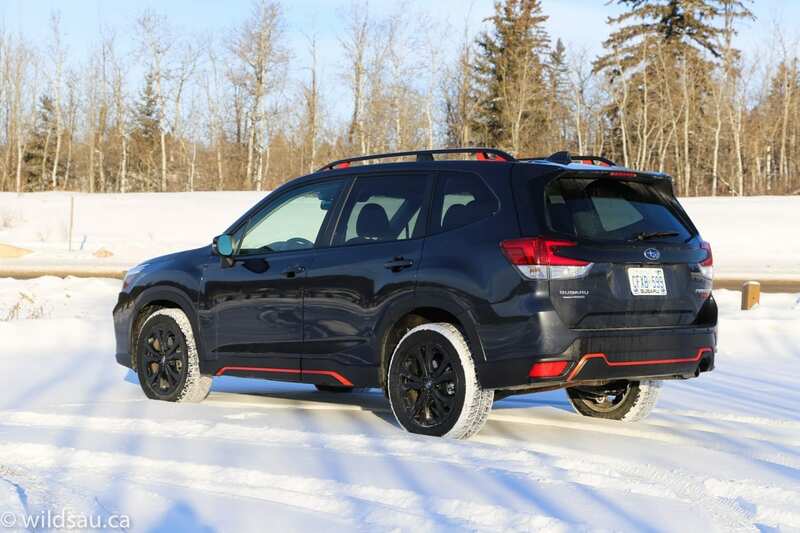 Subaru says the all-new Forester’s exterior is “more athletic and edgier”. I’m not sure about that. 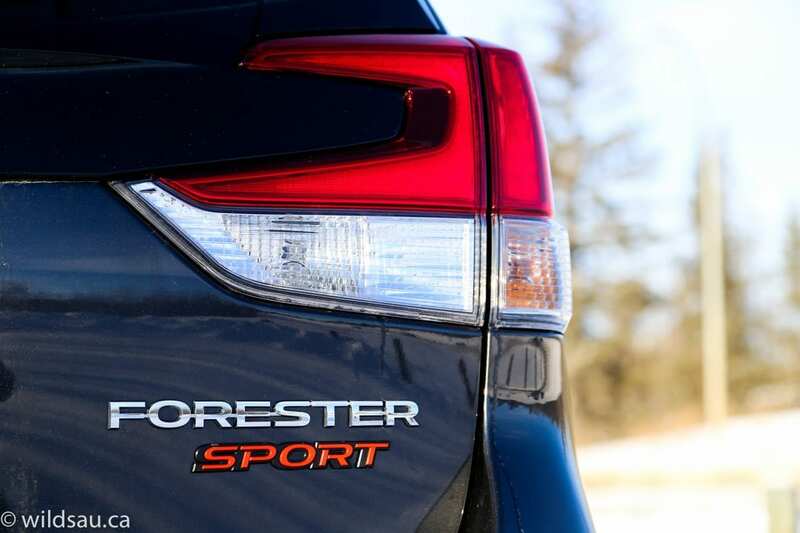 It’s instantly recognizable as a Forester and it has been refined. I felt the sculpting gives it a slightly more muscular look and the subtle changes are all good ones. 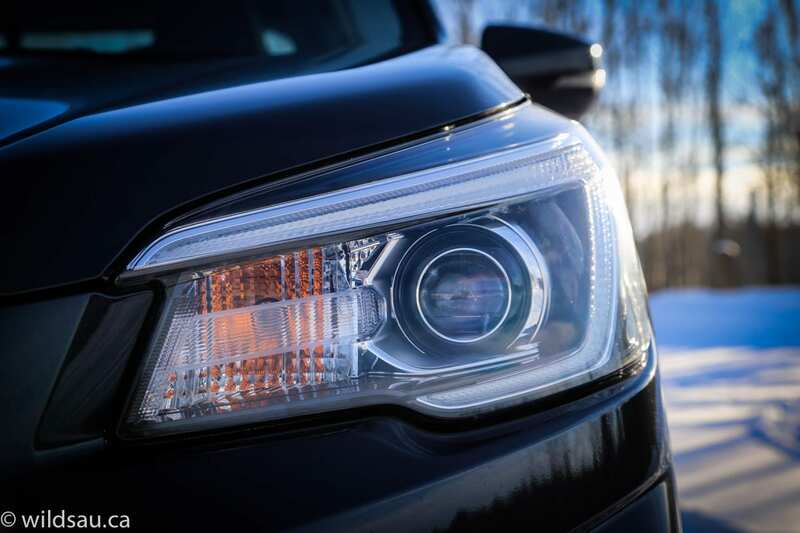 Subaru gives all Forester trims LED headlights – in the Sport they are steering-responsive adaptive headlights. The accent and fog lights and tail lights are also LED. 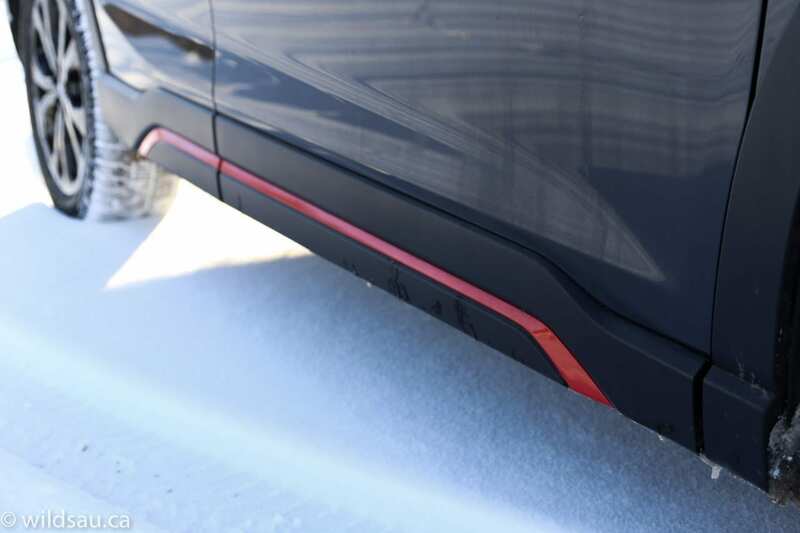 The Sport trim gets a number of visual goodies like orange accents on the sides and front and rear bumpers. The blacked-out grille, rear spoiler, orange-accented roof rails and rear garnish are all exclusive to the Sport as well. Filling the wheel wells are dark metallic 18-inch rims wearing 225/55-sized tires, completing the Sport trim’s bold statement on the road. 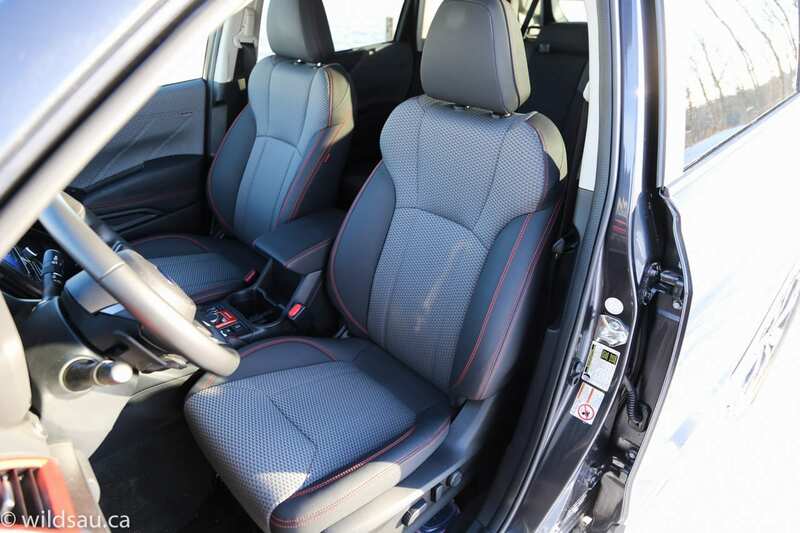 While I loved the previous-generation Forester, the interior always felt a generation behind the times. 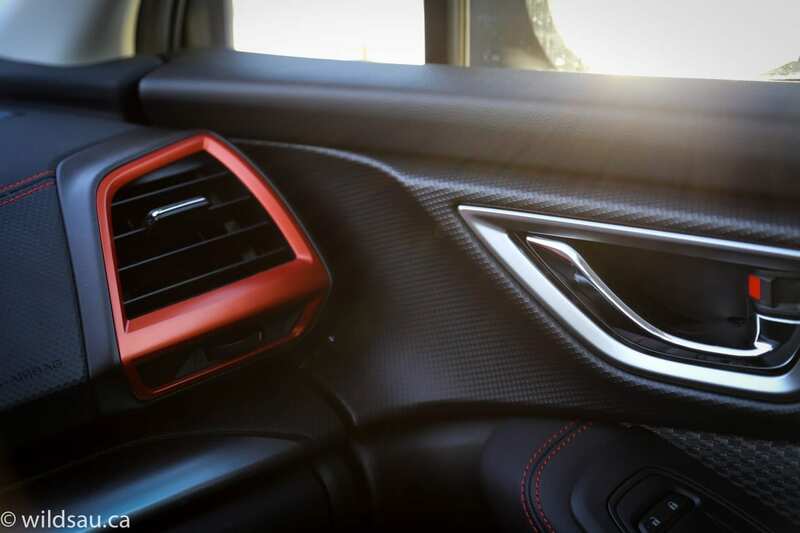 This all-new interior definitely takes several steps in the right direction in terms of design and execution. It’s clean and works well. On top of all that, it’s very spacious cabin. The orange accents continue inside in the form of trim pieces, painted gauge rings and stitching and are a welcome splash of colour. 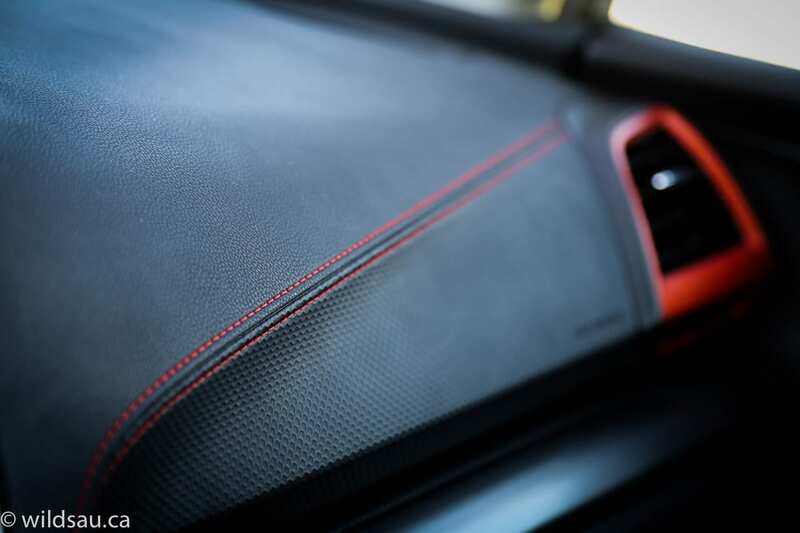 The other materials are very nice too, and include plenty of cool textures – check out the golf-ball dimples on some of the trim. 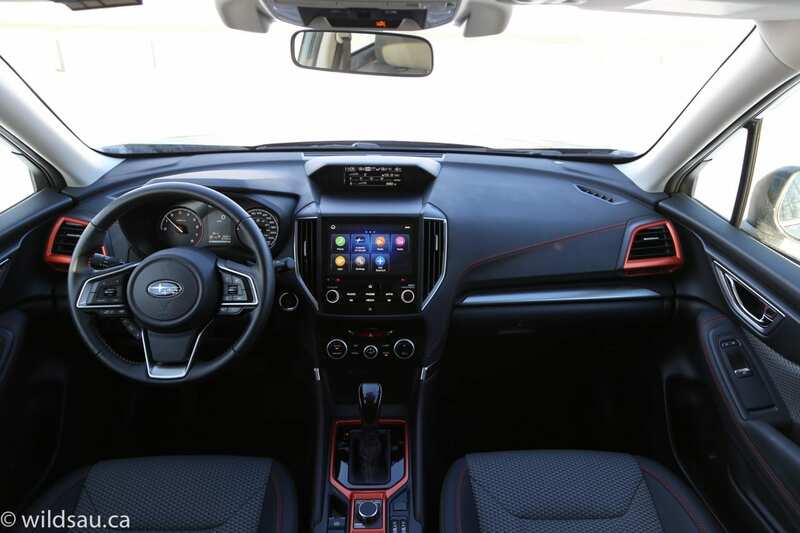 I enjoyed the visual interplay of soft-touch plastics, aluminum-looking as well as the aforementioned orange trim pieces and stitched panels, giving the cabin an upscale, sporty feel. The heated seats (the driver’s side is power-adjustable) are upholstered in excellent fabric – I didn’t miss leather here at all. Nestled in a bin in the dash is a 6.3-inch multi-function display that provides a quick hit of information – you can choose from a number of options including time, temperature, trip meters and even inclinometers showing your climb or descent angle if you’re hitting the trails. 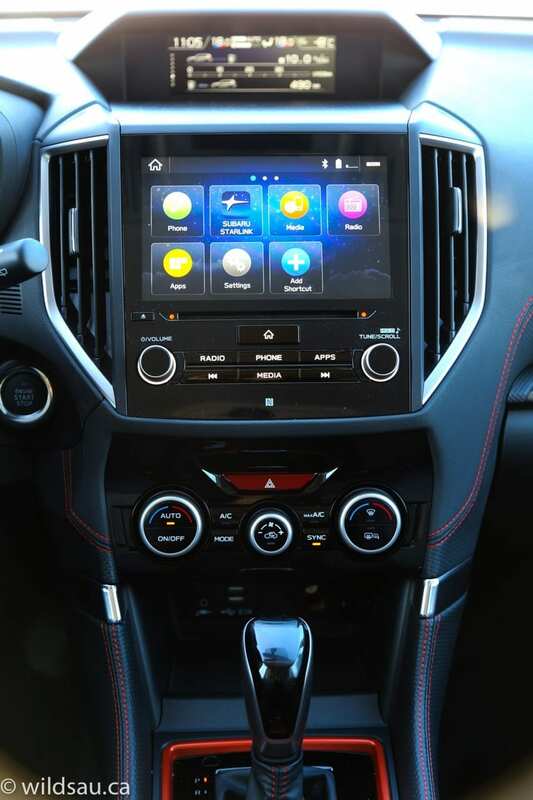 Below it sits an incredible responsive 8-inch infotainment touchscreen that handles your phone and audio functions – there’s no navigation but Apple CarPlay and Android Auto are integrated nicely and do a better job than factory navigation systems anyway. Unfortunately the 6-speaker sound system is mediocre and has virtually no bass to speak of. There’s an automatic dual-zone climate control system and a large sunroof overhead. 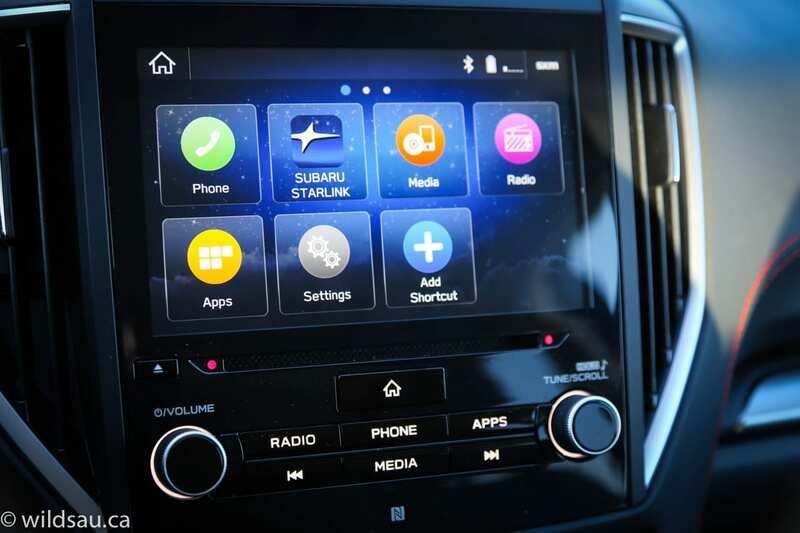 Subaru’s EyeSight package, standard on all trims except Convenience – and available as an option there – provides the vehicle’s driver assistance technology. This includes pre-collision brake assist and braking, adaptive cruise control, lane sway and departure warning, lane keep assist, lead vehicle start alert, reverse automatic braking, high-beam assist and also a proximity key and push-start ignition. You also get side and rear vehicle detection and a rear-view camera with its own washer nozzle. Most of this all works well with a couple of exceptions. The EyeSight system relies on two cameras flanking the rear-view mirror. 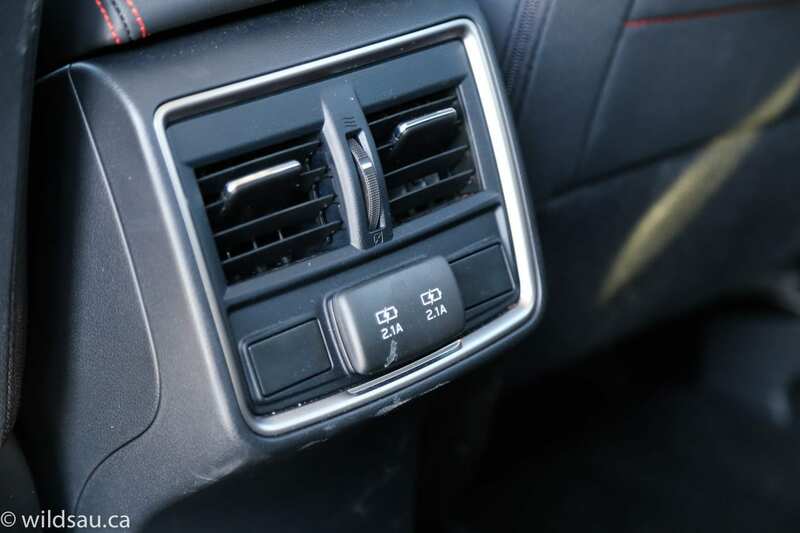 When their view of the road ahead is obscured, it shuts down the whole system – and that happened a number of times when the vehicle fogged up. 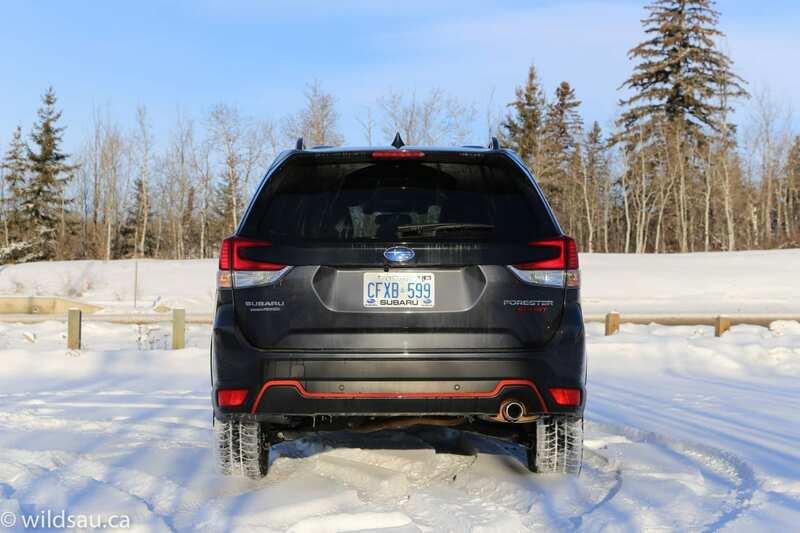 This is an issue because I found the Forester to be incredibly prone to fogging up – more so than any other vehicle I’ve reviewed. Also I found the lane departure warning system to be overly sensitive and a tad annoying – thankfully you can turn it off. 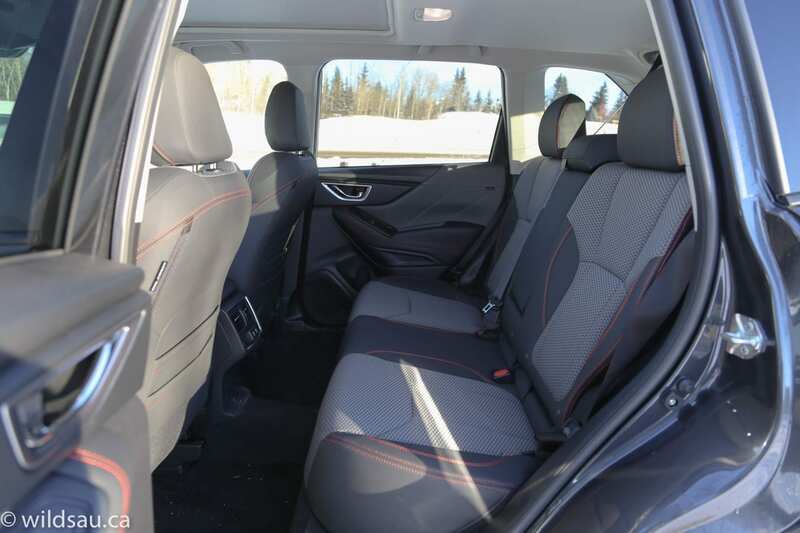 To say the rear passenger seating is spacious feels like an understatement. There is a lot of leg and head room and there’s an abundance of room for feet under the front seats. Even the middle position works for adult passengers, which is quite unusual. The reclining seats are very comfortable and passengers get two USB charging ports and adjustable air vents. A neat touch is the dual-level seatback pockets – one of them has a divider thanks to some vertical stitching and it’s a perfect place to store a smartphone. Very thoughtful. 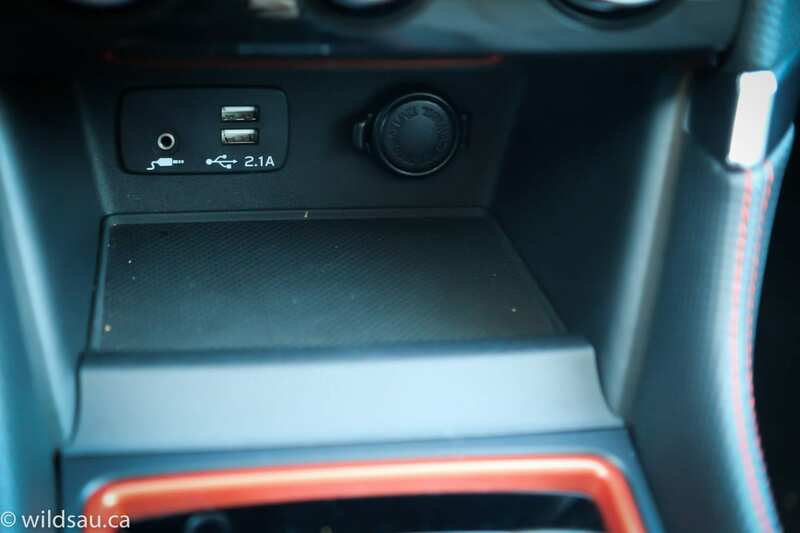 At the front of the console under the centre stack is a bin where you’ll also find two USB ports and 12V and auxiliary plugs. Unfortunately the layout isn’t very well thought out. If you want to use those plugs to charge a typical smartphone, you won’t be able to slide it into the bin sideways – it will need to be hanging out of the bin. The armrest bin is a nice size and has another 12V plug. The door bins and pockets deserve mention for their large, useful size. 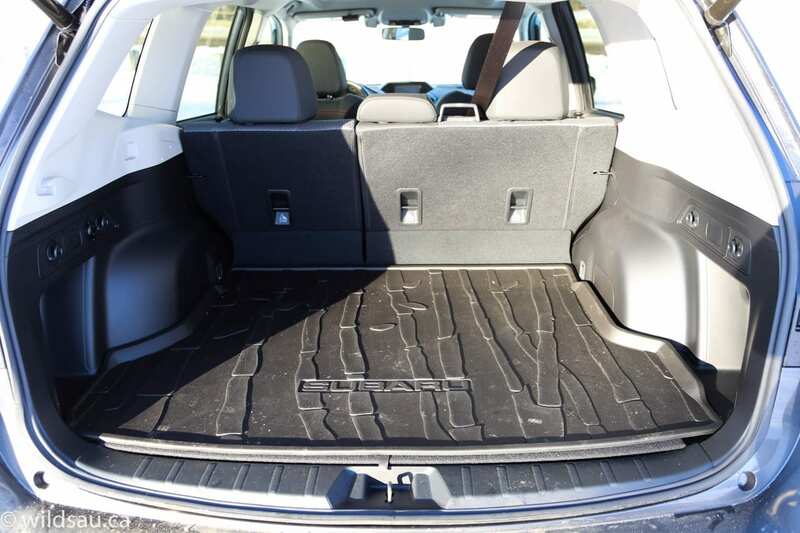 The Forester has always been good at handling cargo – Subaru has given it even more capability for 2019. A wider cargo opening and a bigger and wider cargo space, combined with flatter-folding rear seats (they split 60/40) and rock-solid tie-down points make for a very sizeable and accommodating 935L trunk – that grows to 2008L with the rear seats folded. You access it via the power liftgate. There’s a retractable tonneau cover that can be stored under the floor and you’ll find yet another 12V plug back there. 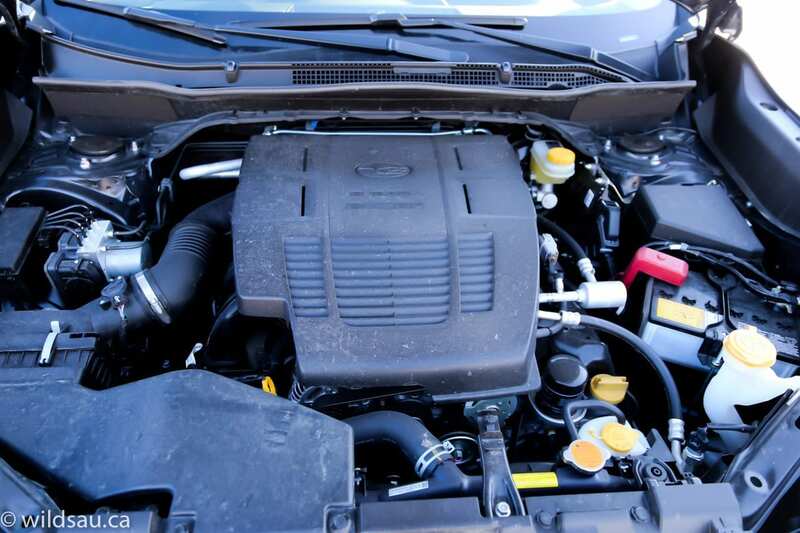 Motivating the Forester is a 2.5L 4-cylinder boxer engine that has received some enhancements for power and efficiency. It puts out 182 HP @ 5,800 RPM and 176 lb.ft of torque @ 4,400 RPM. The transmission is a CVT and of course you get Subaru’s standard full-time all-wheel drive system. The Forester is rated at 9.0/7.2 L/100 km city/hwy. I averaged 10 L/100 km after two weeks in the Forester. For an all-wheel drive vehicle this size, that’s quite respectable. While it’s a smooth performer and does most anything you ask of it under normal driving circumstances, I really wish the Forester still had an XT option with more power. This is the only available engine and to me, it feels like it needs something more, particularly when merging onto the freeway or trying to pass on the highway. The CVT transmission is mostly decent and stays out of the way. 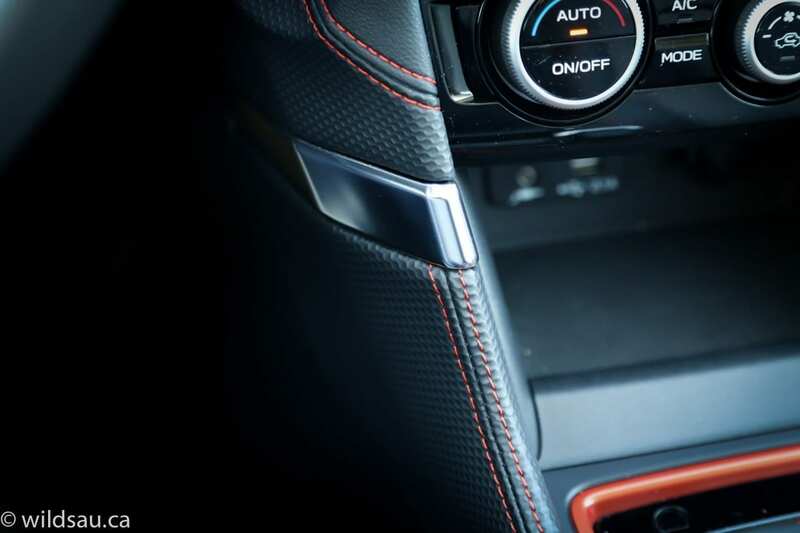 There’s a manual mode allowing you to shift through pre-programmed “gears” – unfortunately there is no way to turn it off. 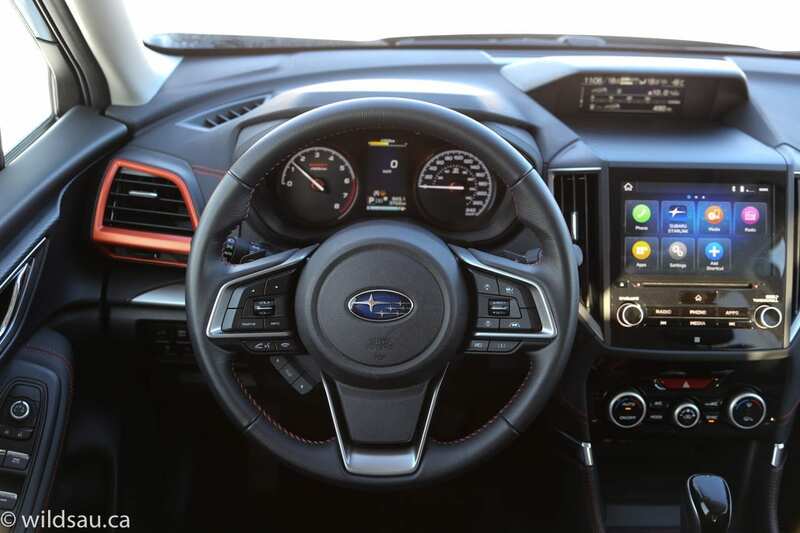 Most vehicles allow you to hold a paddle shifter for a second or two and that turns off the manual mode – in the Forester, you’re stuck in manual mode until the vehicle decides your driving and speed have stabilized and then it decides to turn it off. The Forester’s ride is excellent and the handling is really, really good. It’s more nimble and agile than its looks would lead you to believe, and although there is some body lean in corners as you’d expect from any tall vehicle, it is incredibly competent at tackling twisty roads and freeway cloverleaf sweepers. It’s actually really fun to drive. 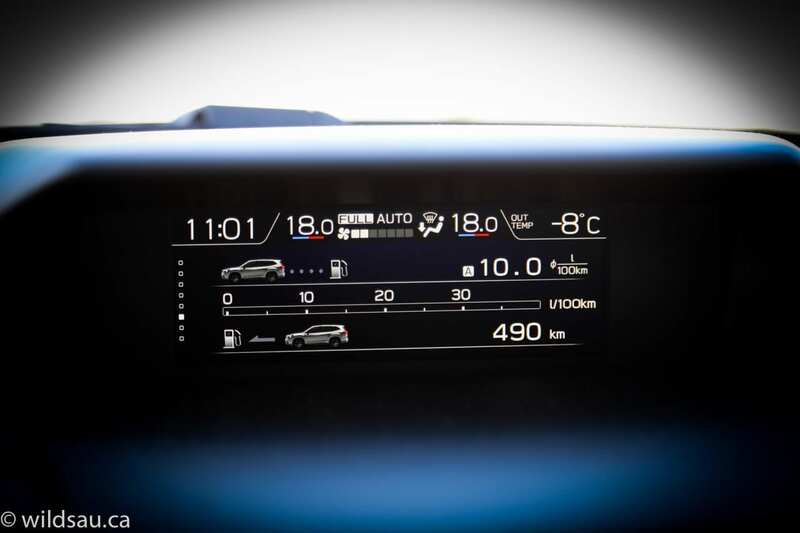 Sport SI-Drive mode selector lets you choose between I (intelligent) mode and S# (Sport Sharp) mode – the latter makes things feel a bit more responsive. Subaru’s Symmetrical all-wheel drive is legendary and for good reason. It is truly one of the most capable on the road today, and proved itself time and time again during our review period. 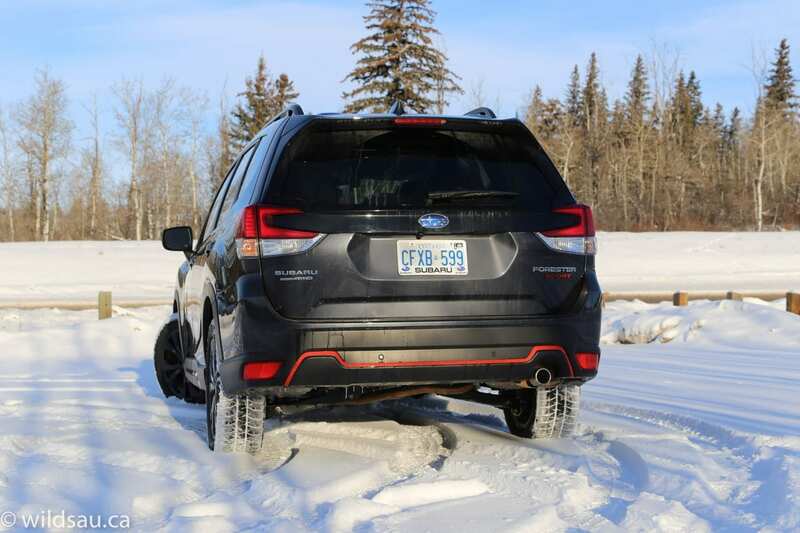 We had endless dumps of snow, followed by icy driving conditions – coupled with excellent winter tires, the Forester never faltered once in any of the driving situations we threw at it. To say the all-wheel drive system inspires confidence is an understatement. It provides traction from the moment you touch the go pedal, through slow and fast cornering and in emergency moments, where quick reactions matter. Subaru put a lot of work into reducing noise in the Forester and it shows. We found it to be very well insulated and quiet, even at highway speeds. Visibility out of the Forester is outstanding thanks to the high seating position, large glass areas and very few blind spots. 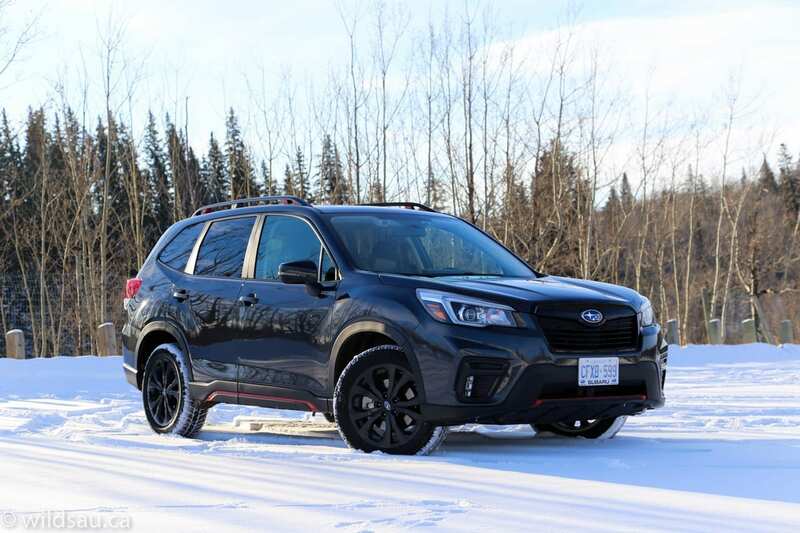 When it comes to tackling some terrain off the beaten path, Subarus tend to fare better than the average crossover and the Forester is no exception. 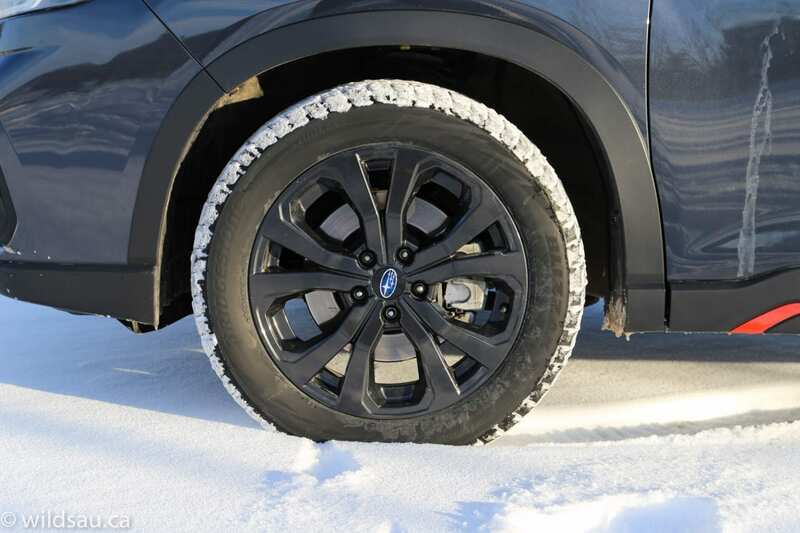 Ground clearance is plentiful and it comes with two X-mode off-road driving settings tailored to snow and dirt or deep snow and mud. 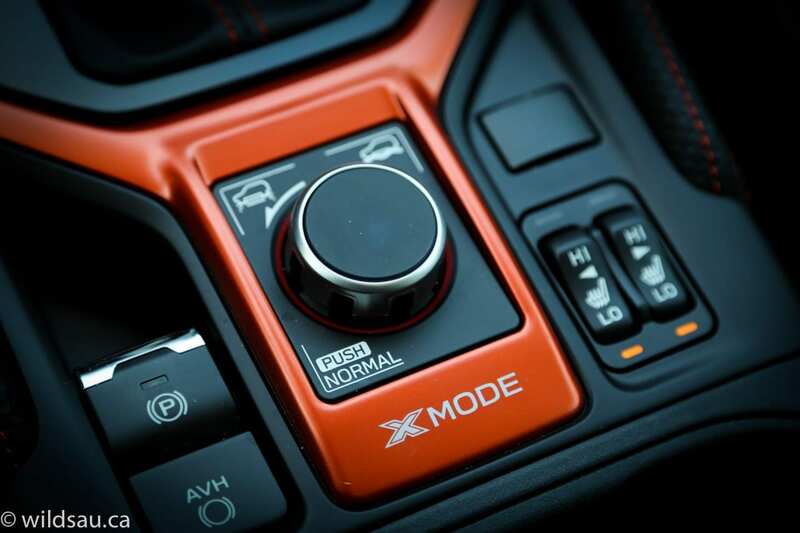 Activate X-mode – it only functions at very low speeds obviously – and it automatically turns on Hill Descent Control, which is very effective on easing the driver down precarious pitches and allowing them to focus on the steering part while letting the electronics handle speed and braking control. Aside from wishing for more power, I do have another major gripe when it comes to the powertrain. It is the Forester’s auto start-stop feature. First, it’s really rough. Feeling the system turn the engine off and then on again at a red light was taxing every time. It twists the entire vehicle and sends significant vibrations through to the driver and passengers. It is, without a doubt, the least smooth auto start-stop I’ve ever experienced. Secondly, the auto-start appears to transfer torque into the drivetrain even when the brake is fully depressed. And that makes the Forester lurch forward. If you’re at a red light and the Forester decides it needs to turn on the engine, even if it’s not actually moving because you have the brake pressed down, it still feels like it wants to launch forward against your braking. Imagine hitting the gas while having the brakes locked. It’s very unnerving and because it literally moves the entire vehicle, pedestrians look over and think you’re going to gun it and run them over as they cross the road in front of you. It is a terrible system and a major flaw in an otherwise awesome vehicle. WAF (Wife Approval Factor) was a bit on and off. She actually liked the tall wagon-ish styling and said it drove very nicely – she didn’t feel it needed any more power. She also loved how competent it was in the snow. But she was very unimpressed by the auto start-stop feature and it freaked her out a few times. 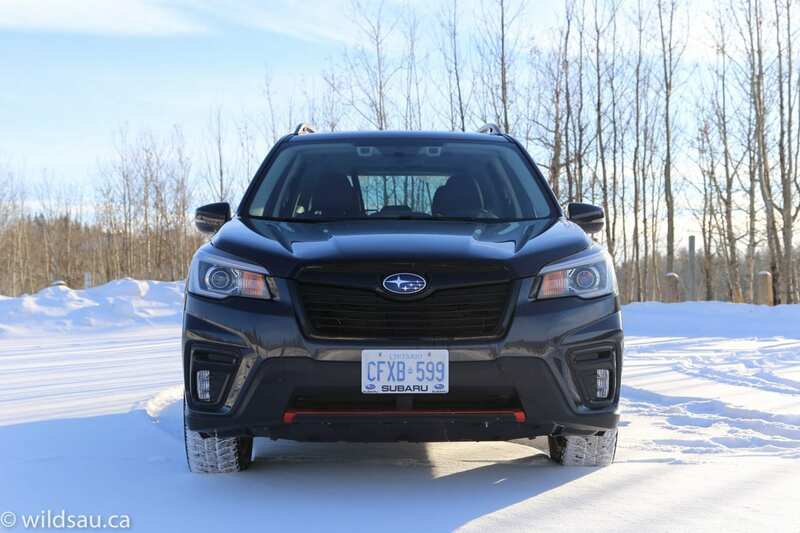 Overall, the new Forester is an outstanding vehicle. I love that Subaru refined virtually all aspects of the Forester while keeping its “Forester-ness” intact. It still has its slightly quirky silhouette, it’s still as accommodating and versatile as ever and offers up tons of utility as well as a great driving experience. It’s also quite efficient. That’s a lot of good stuff. If you want more power in a Subaru, you’ll need to opt for the sleeker Outback with the ancient 3.6L engine or the monstrous new Ascent SUV. But I suspect that the Forester, as it sits, will be all that most buyers need. And I really like this new Sport trim for its combination of features, good looks and reasonable pricing.